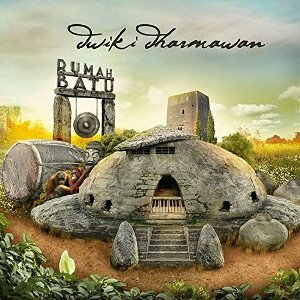 Riding the momentum of 2016’s groundbreaking, critically heralded release, Pasar Klewer, an album awarded a 5-star review by Downbeat, All About Jazz, and numerous others, MoonJune Records released the phenomenal album Rumah Matu by the iconic keyboardist, composer, and producer, Dwiki Dharmawan released July 20, 2018. This great jazz release consists of such tracks as the title track Rumah Matu, Rintak Rebana, Janger, Samarkand and much more. This album was well written, recorded, produced and performed and can be purchased from Amazon, Bandcamp, and other outlets where CD’s and digital downloads are sold.